Create a rock and raise it. Feed the rock green gems when it gets hungry. Play with a ball. And pet the rock! 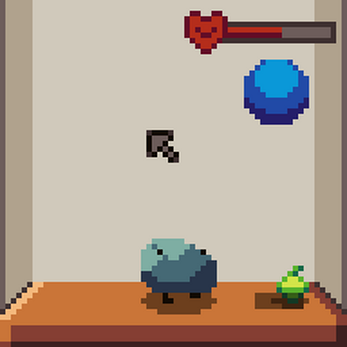 [Left Mouse Button] Pick up the rock, or pick up objects. [Right Mouse Button] Pet the rock, or delete objects. The game's source is included with the download, it requires Godot 2.0.2 or better to open. 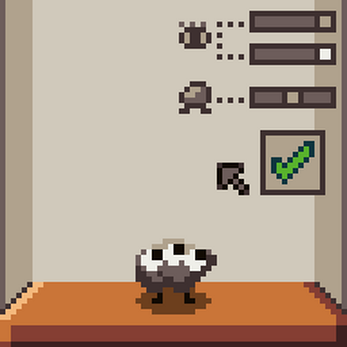 i downloaded the game and designed my rock but it seems like i cant feed nor let the rock play, i dont have the ball and pear. Very clever page design :] Let me know if you release a Mac version!